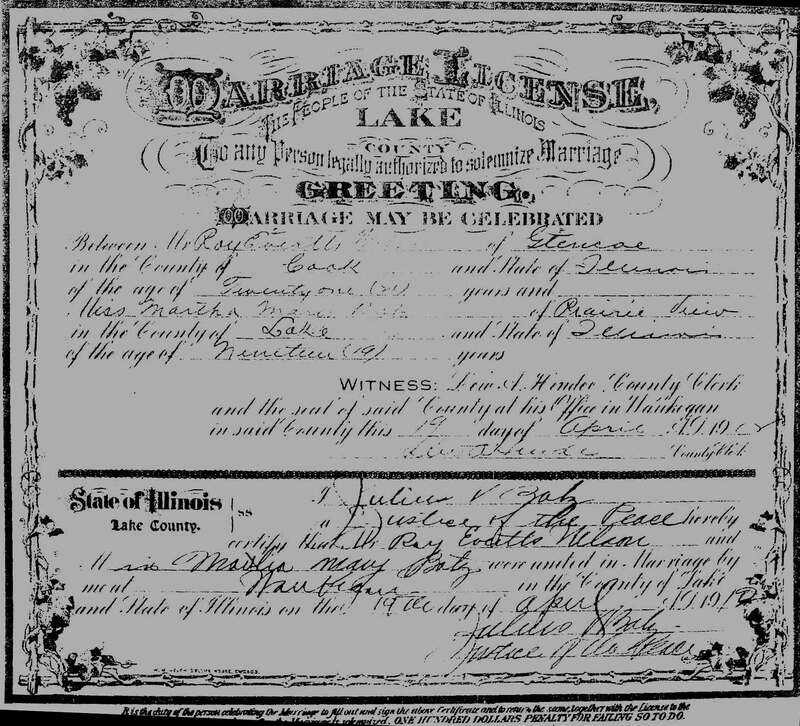 George and Wilhelmina are farming in Ela, Lake Co. Illinois in the 1880 census. 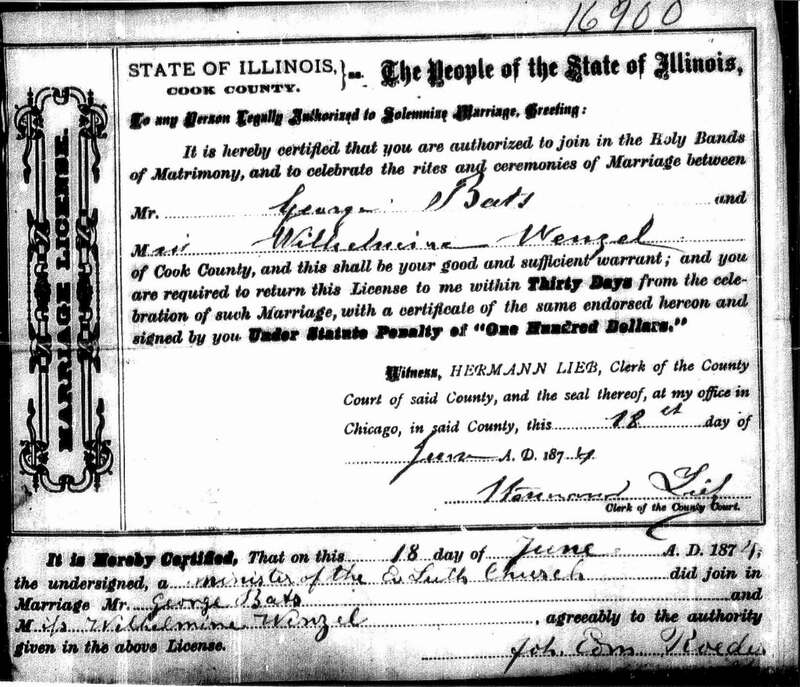 In the 1900 census they were living in Wauconda and George stated that he had immigrated to the US in 1860, and that he had lived in the US for 40 years and was naturalized. In the 1900 census Minnie stated that she had come to the US in 1873. In 1910 August was living in Streeter, ND as a lodger doing odd jobs. In the 1930 census they are living at Route 22 in Lake Zurich Village, Lake Co. Illinois. Lived in Lake Zurich as remember by Edna Wilson. Occ:���������� Waitress at Street Car Co. in 1930 census. Birth:�������� 12 Jan 1893, Glencoe Il.